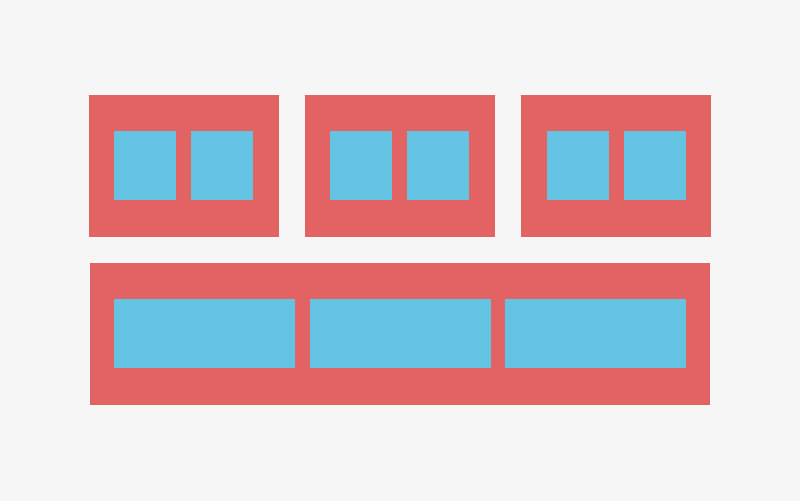 Recently, we began to use flexbox, and finally the world made some sense again. Flexbox is excellent, but it does have one small problem. Flexbox is designed as a one-dimensional model – that is, as a way to arrange elements in rows or columns. The resulting space where the complete layout is placed in the broader picture is filled by a CSS grid. A CSS grid is a two-dimensionally based grid system layout design. 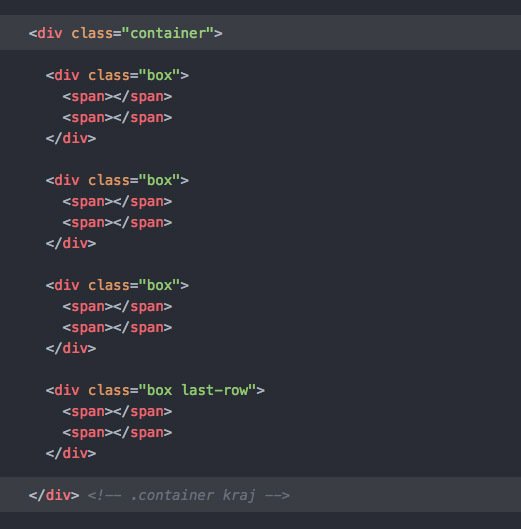 So is there still a need for flexbox? 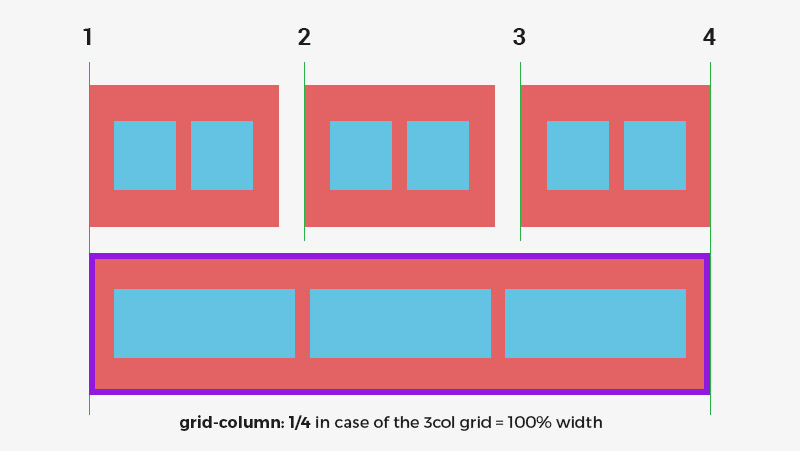 Absolutely, because combining CSS grid with flexbox is the future of web interface design, in which the grid would be used for the general definition of the layout, while flexbox would be used in the design of individual UI elements. 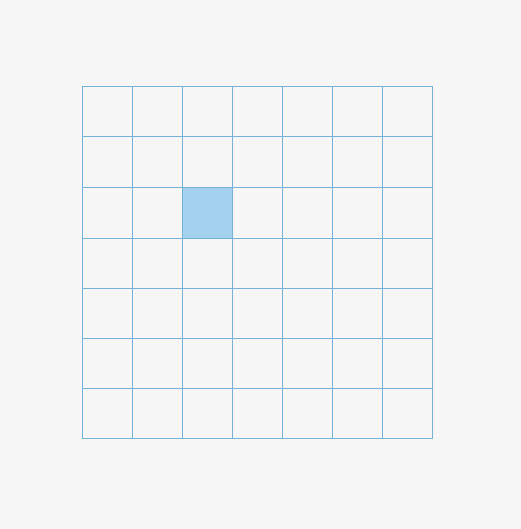 Grid item - a direct descendent of the grid container (only the one on the first level), which automatically becomes a grid item. Grid lines – the horizontal (rows) or vertical (columns) lines that divide the grid into sections. These lines are numbered by default, beginning and ending with the external borders of the grid. Grid cell – a cell within a grid. 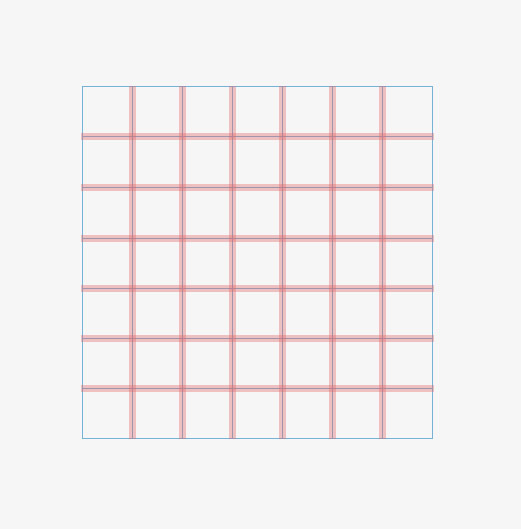 Grid area – the rectangular area between a specified number of grid lines (in the case of the diagram – between 4 grid lines). A grid area can encompass one or more cells. Grid track – the space between two neighboring grid lines. We can observe them horizontally as rows (as in the picture) or vertically as columns. 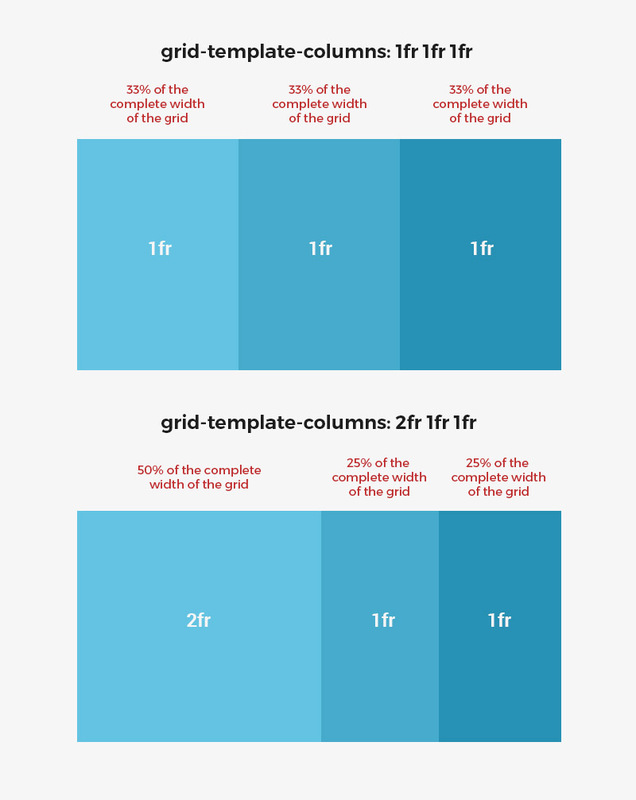 Grid gap – the empty space between grid tracks; most people refer to them as “gutters” – from popular frameworks like Bootstrap. I’m a big fan of learning new things by way of examples, in order to illustrate these conceptual terms (or at least some of them), I will put them into a real context by means of example. In this simple example, I would like to put together a structure that can be seen fairly frequently on today's web. We will use a CSS grid for general definition (i.e., the red elements in the diagram) and flexbox for the blue elements. 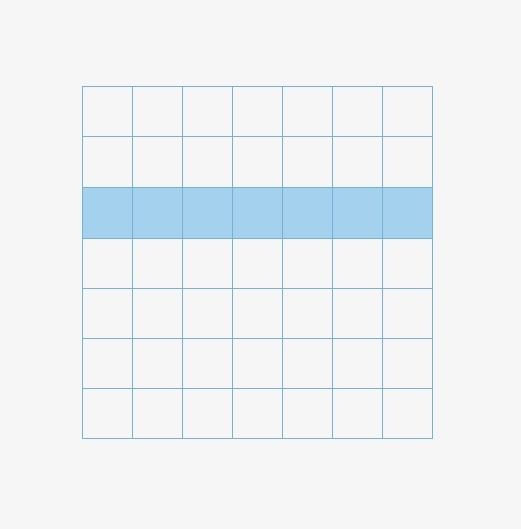 - grid template columns: 1fr 1fr 1fr – defined number and width of columns (3 columns – 1fr 1fr 1fr), while each column has a width of 1fr (this is a new unit in CSS, meaning "fraction"). The diagram below explains how the fractions work. 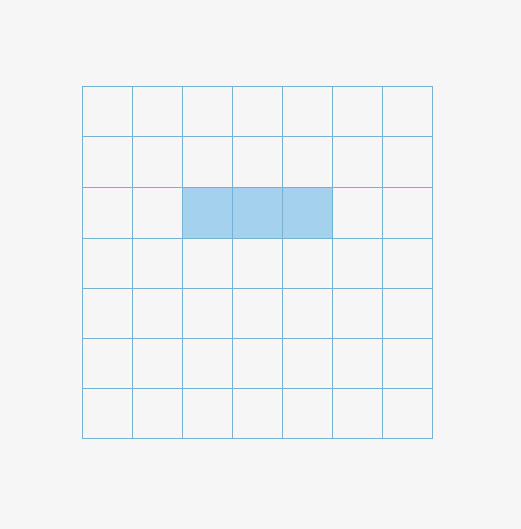 In this simple example showing only a small part of a CSS grid, we can see its great importance for front-end developers; all of these methods can already be put into use today. 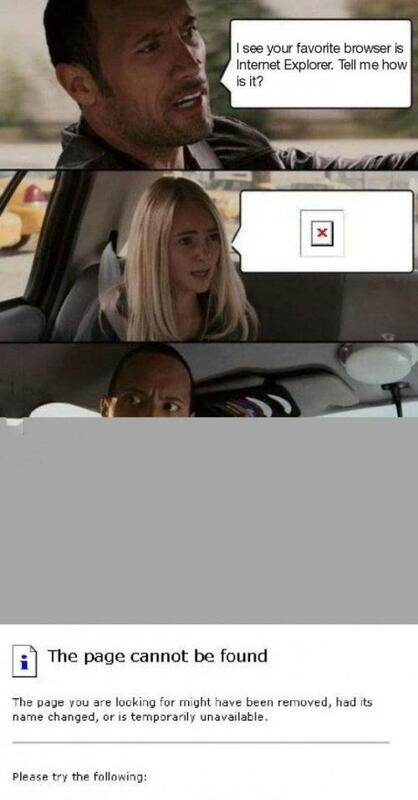 Of course, there will always be the problem of browser support, which is the main obstacle to mass use.